CR80 85.5*54mm credit card size NFC business card with embedded NFC inlay chips.The information of business are in business NFC card . You can exchange the information by NFC phone easily. We provides NFC business card in high quality and nice printing on request. You can chose PVC material or ABS, or PET-G or paper for making business cards. NFC card emulation-enables NFC-enabled devices such as smartphones to act like smart cards, allowing users to perform transactions such as payment to ticketing. NFC card standards cover communications protocols including ISO/IEC 14443 ,FeliCa ISO/IEC 18902 and those defined by NFC Forum. NFC card with a short read range ,typically around 10 cm or less. NFC card operates at 13.56MHz on ISO/IEC 18000-3 air interface at rates ranging from 106 kbit/s to 424 kbit/s. 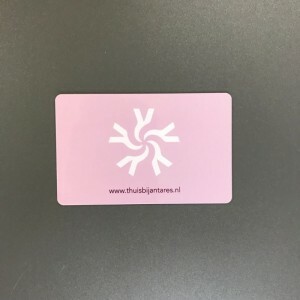 NFC card is usually as business cards, and always can be used in contactless payment systems similar to those used in credit cards and electronic ticket smart cards and allow mobile payment to replace/supplement these systems. 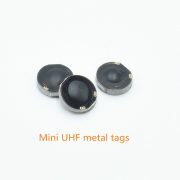 You will probably see small NFC tags– NFC sticker tags used in advertisement, near bus stops and shop. NFC is a great ideal for smartphones as communication and NFC payment system. NFC sticker tags can be store wide ranges of information including web page, contact details, links to apps . It is very faster and convenient than blue tooth in some cases. 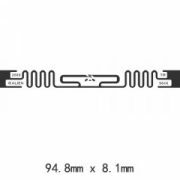 Near Field communication(NFC).It is a new technology developing from RFID working in 13.56MHz shorter than 20cm read range.It allows readers or NFC phones touch by touch to exchange the data. There are 3 kinds of speed data 106 Kbit/s,212 Kbit/s and 424 Kbit/s. NFC combis NFC technology and moble communication technology. 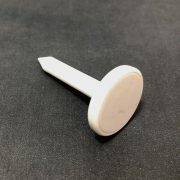 It is popular wildly used in various NFC applications. 5.Load and Touch:The users through by GPRS to receive or loading the information for NFC payment or access control.For example, the users can send the text (fix format)to house service ‘s phones to allow the housekeeping waiters in and out of the housing authority. 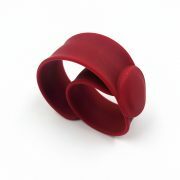 STARNFC is offering various NFC products for your NFC idea and smart NFC solutions. 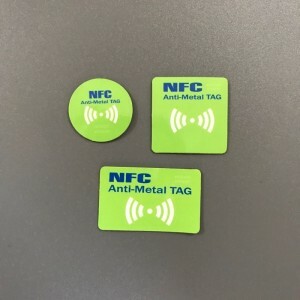 All NFC products including NFC cards( NFC business cards), NFC keyfobs, NFC key cards, NFC hang tags, NFC stikcers (blank NFC stickers, custom printed NFC sticker, Dry/wet inlays, On metal NFC stickers) NFC discs tags, NFC tokens, NFC laundry tags , NFC bracelets(NFC wristbands),NFC tags. NFC technology supports a variety of applications, including mobile payments and transactions, peer-to-peer communications, and mobile information access. The NFC device can be used as a contactless smart card, a smart card reader/writer terminal, and a device-to-device data transmission link. 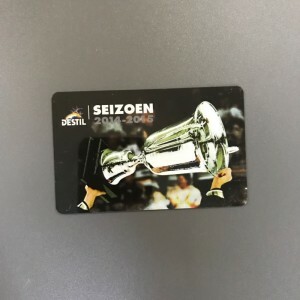 The application can be mainly divided into the following four basic types: for payment and ticket purchase, for an electronic ticket, Used for smart media and for exchanging and transmitting data. 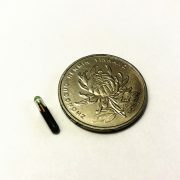 The NFC mobile phone has a built-in NFC chip that forms part of the RFID module and can be used as an RFID passive tag—for payment of fees; it can also be used as an RFID reader—for data exchange and acquisition. With NFC phones, people can connect to the entertainment services and transactions they want, from any location, at any time, through any device, to complete payments, get poster information, and more. We are a professional NFC card supplier, if you have any questions, please feel free to email us.